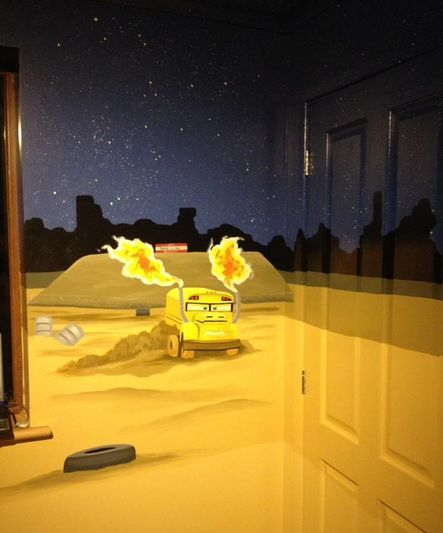 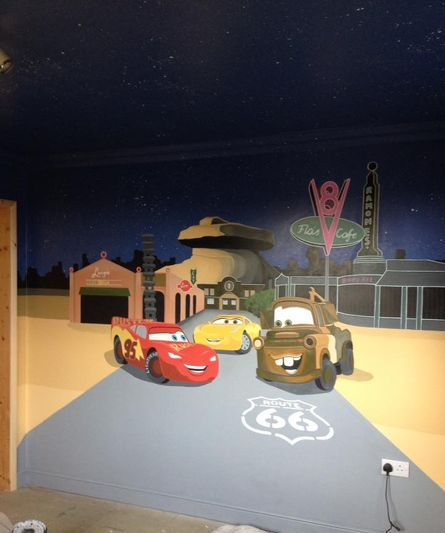 This whole room mural was painted for a little boy in Oxfordshire. 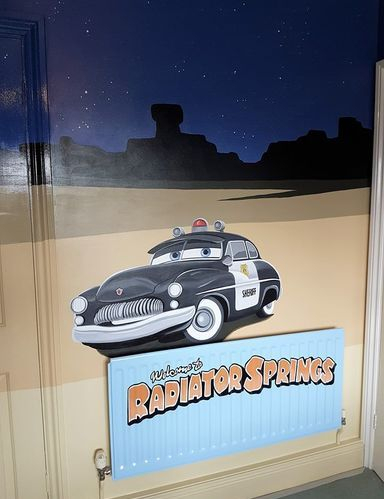 The ceiling, wardrobe doors, skirting board and radiator were also painted to make the room really immersive and striking. 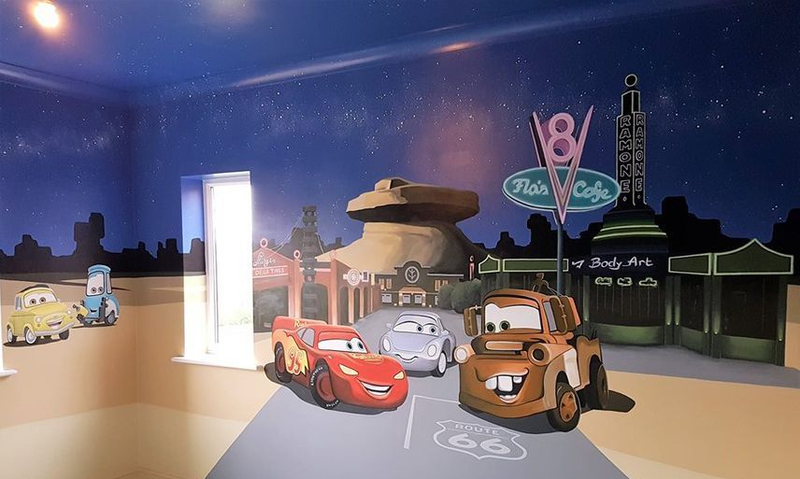 The ceiling has thousands of hand painted stars and all the scenery was painted to look like it was lit up at night, perfect for a bedroom. 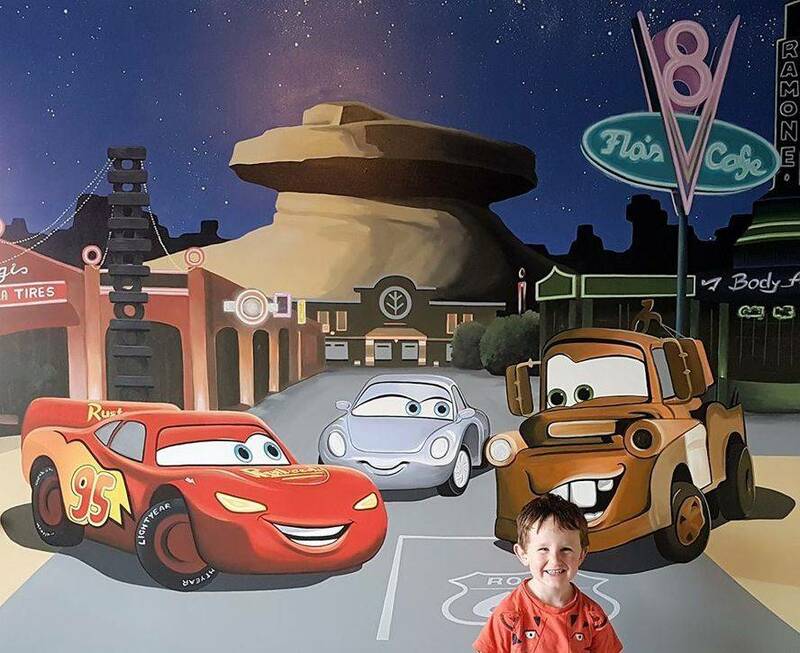 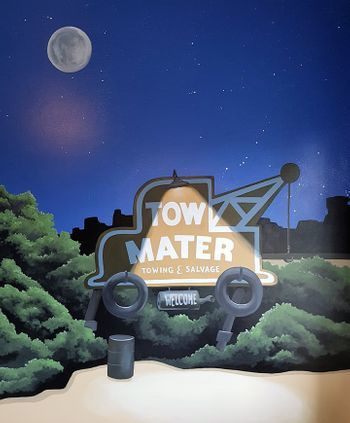 This mural took us two weeks to complete. 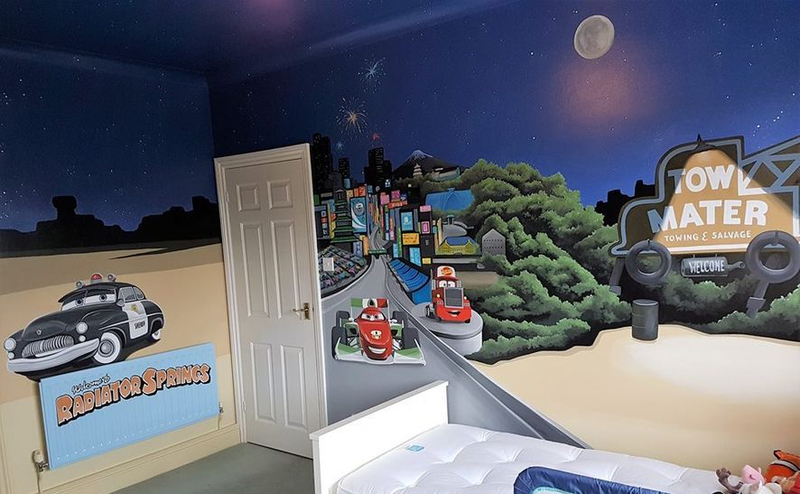 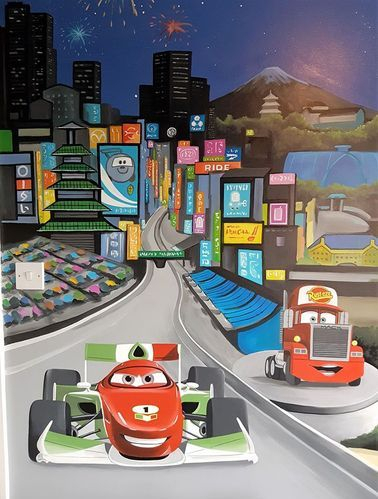 Below are some images for the same mural that we painted for the same little boy when his family moved and he missed his old bedroom! 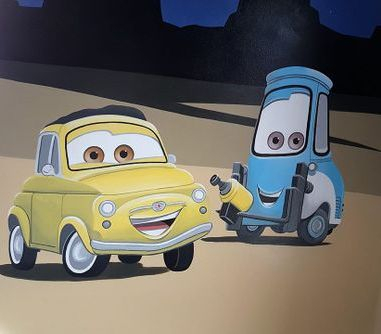 We updated some of the characters and added a new scene of the Demolition Derby from Cars 3.